Get ready for the rush! A new breed of high-impact, adrenaline-fuelled, off-road arcade racing from the creators of Motorstorm. 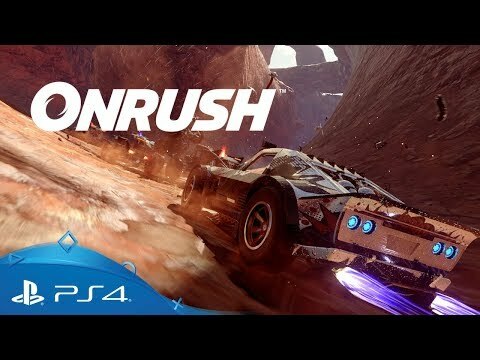 A celebration of speed, outright fun and over-the-top spectacle, ONRUSH is a racer that puts you in the heart of the action. Enter a racing arena driven not by podium finishes or precise tuning, but raw style, effortless flair and incredible takedowns. Drive on the very limits of control, risking everything in an effort to win victory for your team, using turbo boosts to takes things to the next level or the devastating 'RUSH' ability to floor your opponents.